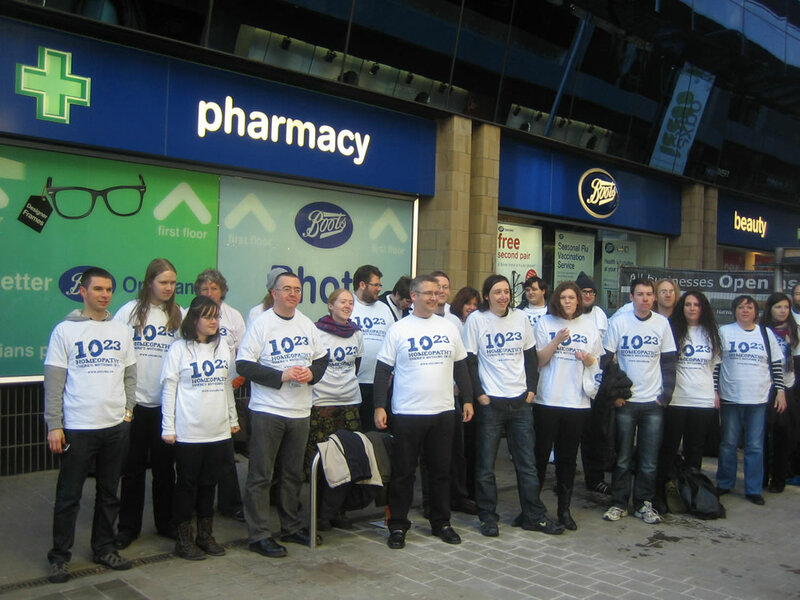 Yesterday saw a nationwide protest against the sale of homeopathic remedies at Boots. 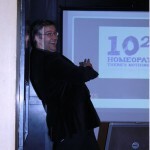 At cities across the UK, and indeed some in Australia and Canada too, people gathered to take a homeopathic overdose to show that there was in fact nothing in the pills at all. 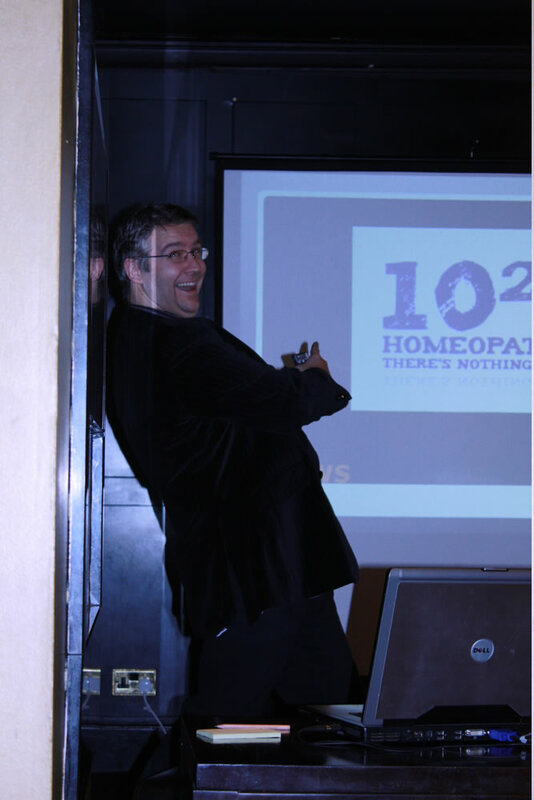 At Leeds we managed to get 32 people down to the event most of which, including myself, downed an entire bottle of homeopathic arsenic and yet somehow survived. We also got a reporter from ITV’s Calendar news come down and featured us on their evening segment – I’ve yet to see it but I’ve heard a mixed reaction so far. 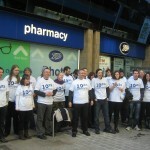 The response from Boots was a predictable one – homeopathy is recognised by the NHS (something which is in the process of changing as the government inquiry is quickly dismantling the case for it) and that many people use homeopathic remedies – of course many people read horoscopes that doesn’t mean there is any truth in them. But of course we knew they would just ignore the science and just try and insist that lots of people bought it so it must be true. Most of the major papers have run stories about it today so we’re chalking this one down as a big success for the skeptics movement. 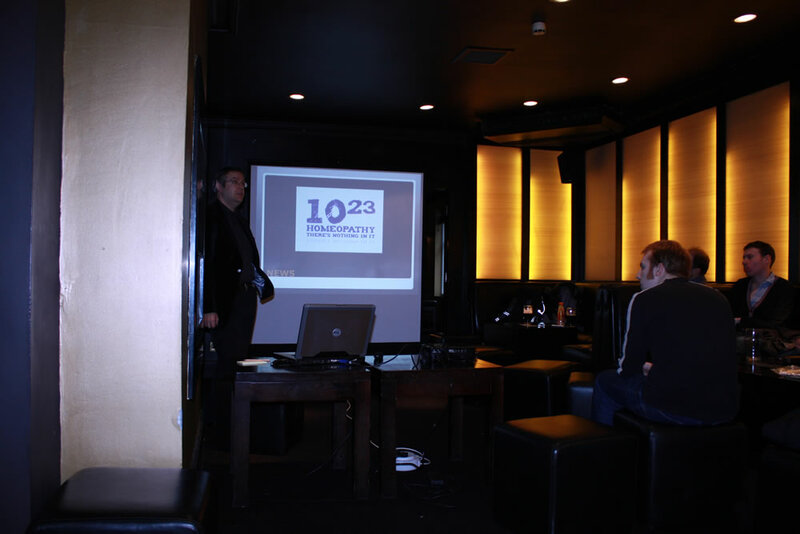 A big thank you to everyone from Leeds Skeptics who came down to take part, Daryl for organising the Leeds event and the guys at Merseyside Skeptics for putting it all together. No, I’m not talking about the classic song by Poe which was featured on the Book of Shadows soundtrack. Last night I headed over to York for a good old fashioned ghost tour. York Brights coordinator Ewan is one of the tour guides to invited us over and it sounded like a good laugh so I thought I would attend. I had been forewarned to keep an eye out for sly skeptical comments in the talk and that there certainly was :D. Lines like “one of York’s genuine mediums – if that isn’t a contradiction in terms” and “she swore them all to secrecy about the elaborate array of hidden wires and sound effects she used that night” provided a good night of amusement and entertainment. Afterwards we headed to Caesar’s Restaurant for a very nice meal indeed – although we didn’t get any free garlic bread as Ewan had assured us we were almost certain to receive. The food was never the less excellent though. 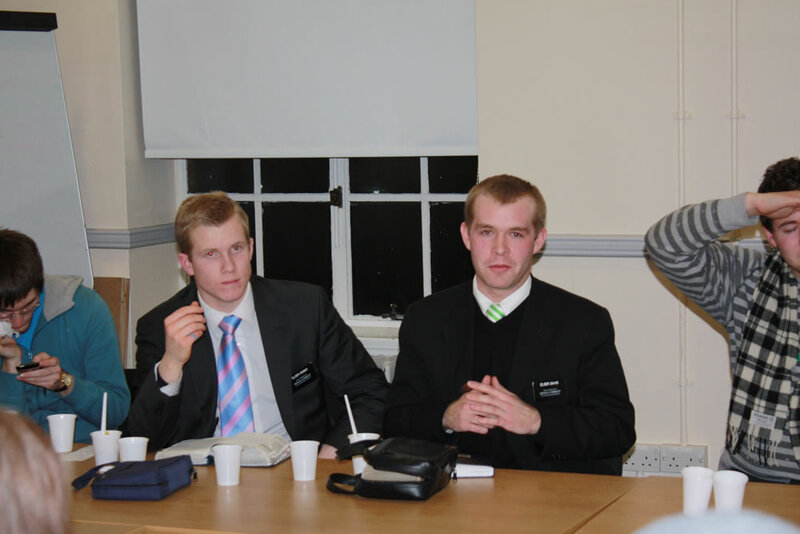 On Friday, the new season of Perspective kicked off in Leeds with representatives from the Mormon faith coming down to talk to us. I was actually surprised how interesting and informative it is, there is actually quite a lot of deviation from traditional Christianity that is not immediately apparent. We weren’t best prepared for the course not having things like plates but the food was never the less good and with Essentials now open until 10pm we even managed to source some coffee (Extras stocked it but they only had decaff so I just walked out). 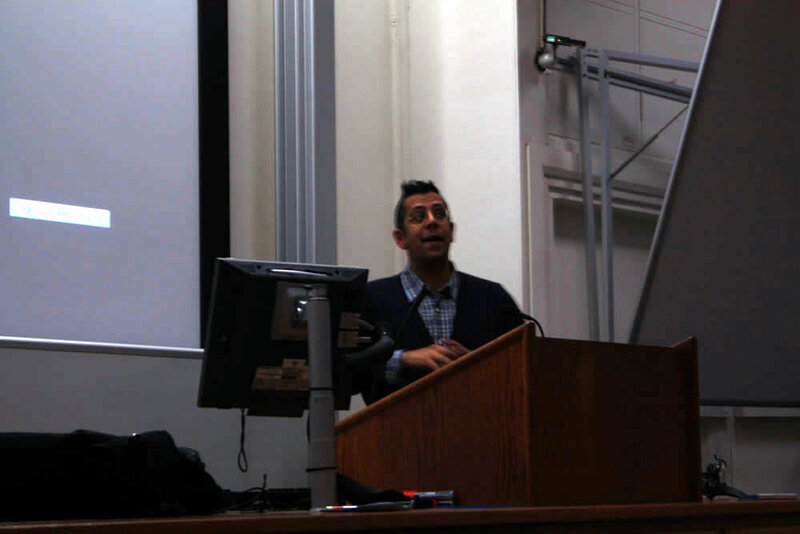 On Tuesday Simon Singh came to the University of Leeds to talk about liable reform. 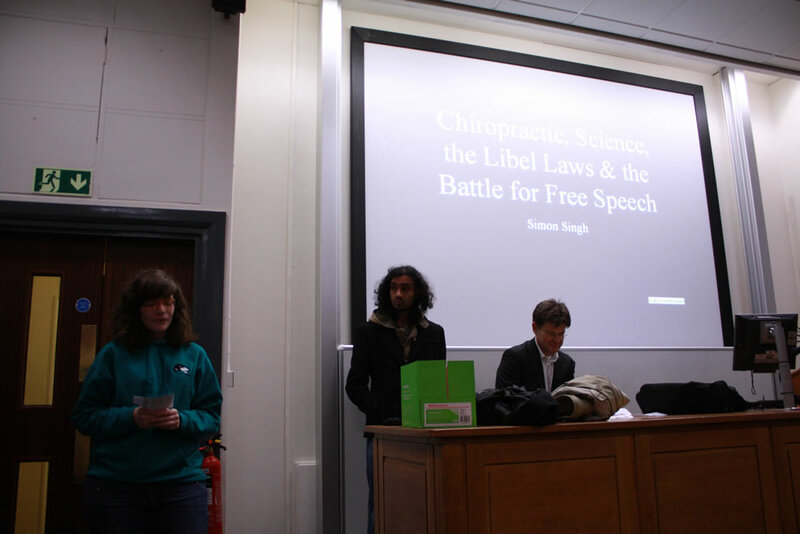 Obviously as a free thinking group the Atheist Society was particularly concerned with such lawsuits for speaking out against obvious nonsense we asked Liberty@Leeds to be involved and had Sophie and Norm deliver a quick introduction on why it was important to us. 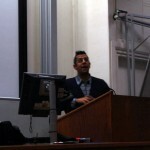 The talk itself was very good, it was both amusing and very informative. 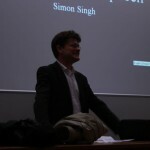 It is hard to believe how biased the legal system is (actually have studied law I don’t find it that unbelievable but that certainly isn’t a good thing) and how easy it is to bring a liable suit forward – makes me wonder what would happen if the thousands of people who have seen Simon speak and are behind him brought a frivolous suit against the BCA. 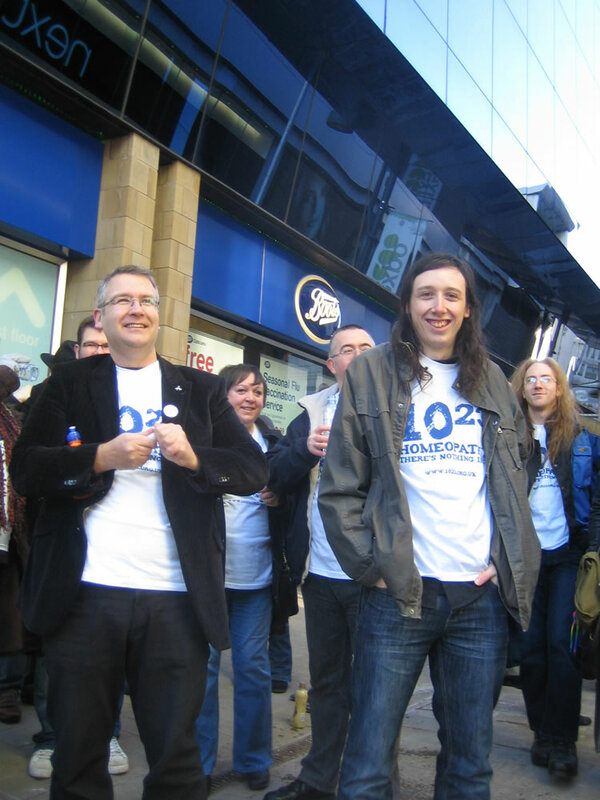 As a consequence I would like to extend an invitation to Mr. Cameron to spend an evening with the Humanist Action Group here in Leeds which regularly go out to offer soup and hot drinks to the homeless living on the streets. Come spend some time helping out – not because your god or your holy book tells you to but purely on the basis that it’s the right thing to do. I’m sure many religious people volunteer for the same motives but the suggestion that volunteering is purely the pursuit of the religious is simply beyond laughable. Even a quick glance at statistics show that the non-religious give more to the charity than the religious do. But of course that doesn’t even begin to paint an accurate picture because most non-believers don’t give to charity in the name of atheism so the actual higher is much higher. So come down, spend some time volunteering in Leeds, see how it’s possible to give out a cup of coffee without a verse from a holy book cleverly inscribed on the lid. 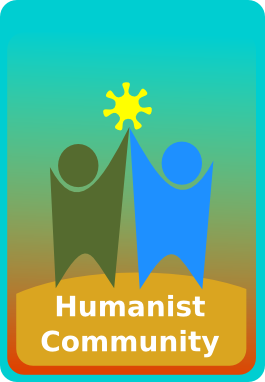 Back in November, we announced our plan to create humanist communities that would act as a hub to bring secular humanists together in the community. 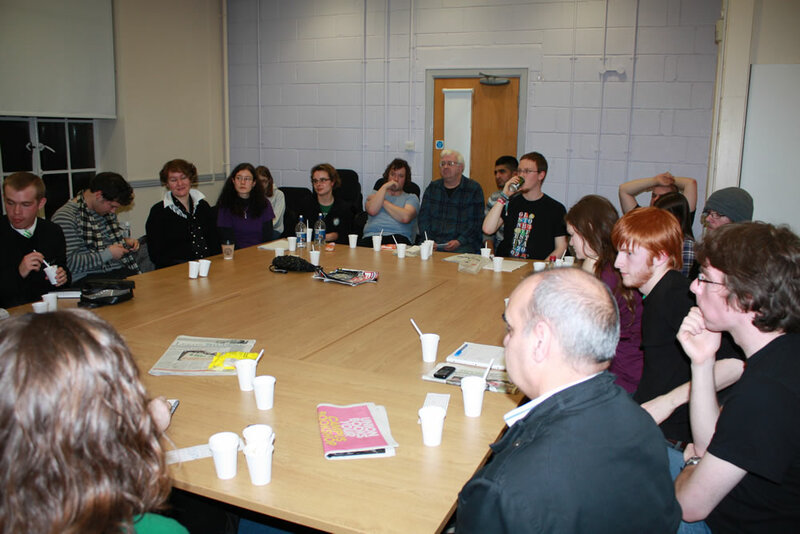 This will begin with a pilot programme in Leeds and hopefully expand outwards from there. 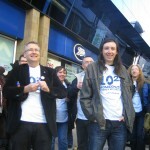 As a consequence, today we are officially announcing the Humanist Community of Leeds. 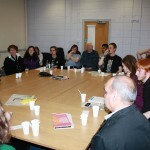 Our first community and hopefully first of many which will hold it’s first meeting next month. 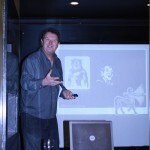 I hope you will be able to join us at 10:30am (for an 11am start) on February 14th at the Cosmopolitan Hotel in Leeds. 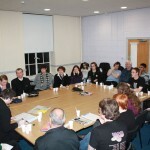 A Humanist Community is described as a secular alternative to church. 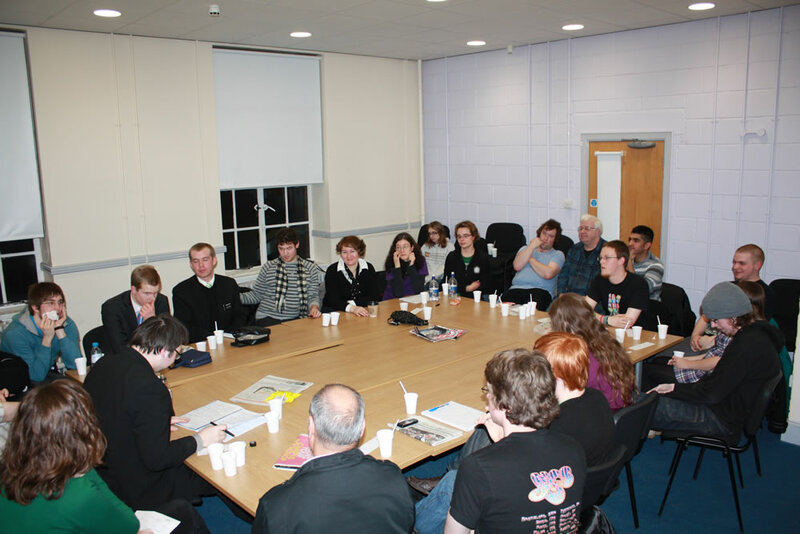 You won’t find any worship or praying in our events but you will find a friendly welcoming atmosphere where you can get to know other secular humanists in the local community. 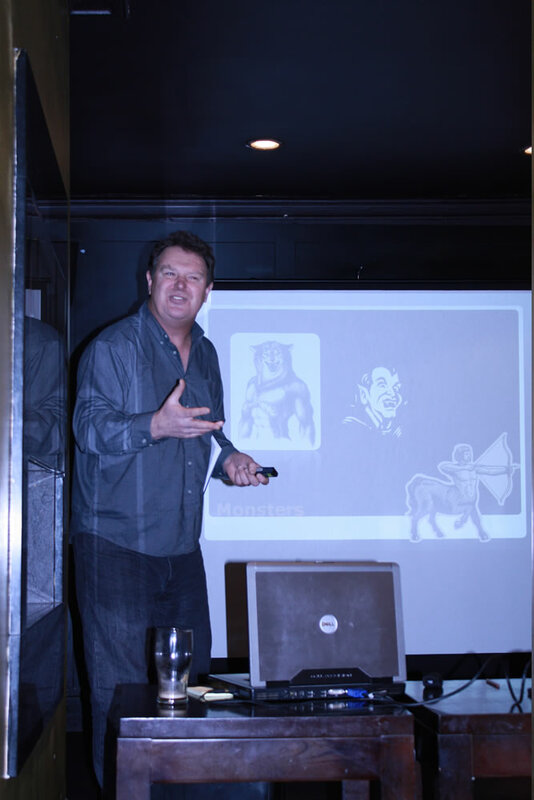 For the first event will feature a short talk from Richard, humanisted related news and some funny videos from Gijsbert, a chance to get to know each other and plenty of tea and coffee. 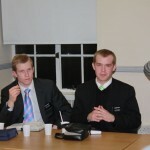 The event will last around an hour and will be followed by everyone going for Sunday lunch together. We hope you can join us! You can read more about the group on the website and if it sounds interesting you can sign up for the mailing list there too. 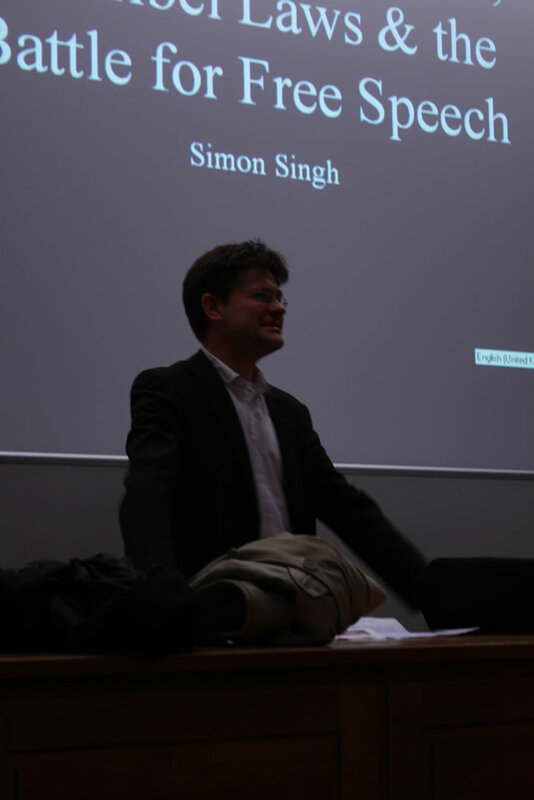 You can also find out more and subscribe for event invites on our Facebook group. As usual, we will be continuing to post updates on our Twitter feed so you can follow us there too. We finally have a YouTube channel up and running for the foundation. Currently, it only has introductory videos from myself and Gijsbert introducing the basics of our thoughts behind what we want to achieve but more content is on its way – Rich is busy making a documentary as we speak so hopefully that will be along shortly! The inevitable march of aging means we rarely venture out of our houses to hit the down these days. I’m often at the pub as little as three or four times a week these days and clubbing is a whole different sorry state all together. However given I’m playing plenty to live in a very nice city centre apartment which allows me to go out, get drunk and walk home all with relative ease the very least it seemed appropriate to do was to re-start a regular schedule of Wendylicious, particuarly as I always try to be around that Saturday for Skeptics in the Pub. I have to say I’m glad I did because it was a pretty epic night. I think I’ve discovered the best formula for Wendy, drink at home, go to The Old Bar, drink some more there, then wander into Wendy around 11:30-midnight as it’s brilliant for the first few hours but then gets a little repetitive. As such awesome times ensued including several short appearances from Amerijohn (even if he wasn’t actually hanging out with us for the most part, traitor) and some kind of end of night drunken cooking which is always a victory when it doesn’t burn the place down. Good times. 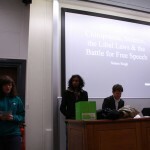 Yesterday’s homeless action saw the best attendance for a Humanist Action Group of Leeds event in the history of the group. As you’ll probably be aware the weather in the UK has been rather cold over the past month with several heavy snowfalls and as a result the group has made a special effort to make sure volunteers were on hand when needed. Luckily everyone living on the city centre’s streets managed to make it into a shelter during the snowfall – it’s actually a really good feeling when you go out in the snow and find nobody because it means chances are they are somewhere warmer. Now people are back on the streets however we really need people to continue to sign up and volunteer their time. If you are interested in volunteering you can register your details on the website or find out more about the group on their Facebook page. 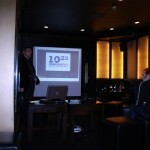 At Leeds Skeptics we recently celebrated our first birthday with a talk by Steve Wade on big foot and other urban legends entitled “What’s That Coming Over the Hill?” The talk was reasonably well attended given the weather outside though we didn’t get anyone working on the bar which was a little disappointing. Still plenty of drinks from the bar downstairs later and everyone was enjoying themselves so the good times continued.